The Round Robin Bar at The Willard Hotel, Washington, DC. 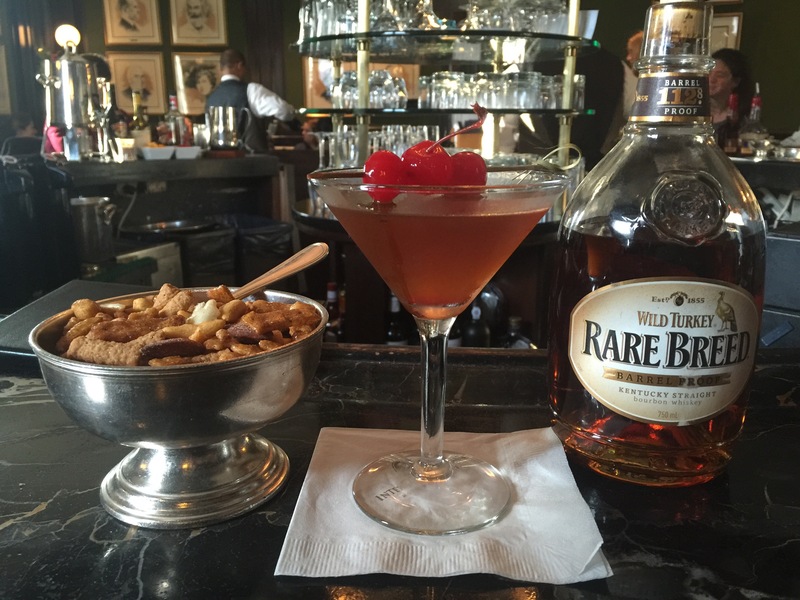 Screaming in at 112.8 proof, this Wild Turkey Rare Breed Manhattan, was an interesting way to end a day in Washington D.C. The Round Robin Bar is a fantastic combination of both ideal location within the capital and historical vibe. The Willard Hotel, in which the bar resides, was the host to a meeting that started on February 4, 1861, and was the last attempt to get the North and South to come to a peaceful resolution of differences before the Civil War. This drink may have helped get a better result at the meeting, as it was full to the lip of the glass with liquid jetfuel. I requested the mixture, and in hindsight it was probably too high temp for the drink. The Wild Turkey, while a very nicely constructed bourbon, has too much screamin’ rebel in it for the vermouth, bitters and three little cherries to handle. September is Bourbon Heritage Month which means that I will be partaking in the beverage a little more than usual this month. The national observance was first declared in 2007, and has been celebrated in Kentucky and around the country ever since. 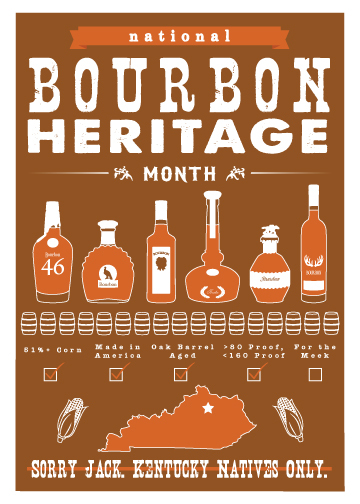 I figured that since it is the start of the month that I would offer a brief history of bourbon to kick off these celebrations. 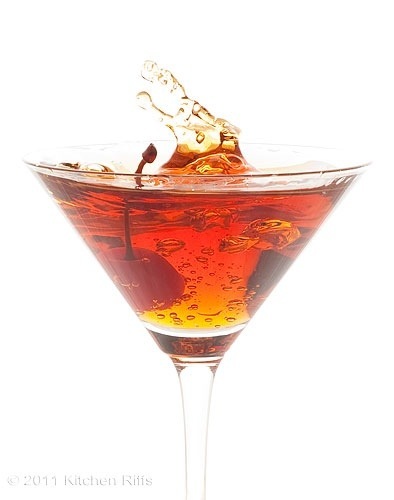 The Manhattan has a few foundational components that make it such a popular and legendary elixir. Firstly, it is truly an American cocktail as it defining ingredient is the New World’s whiskey, Bourbon. And Secondly, its namesake is the quintessential American city with enough attitude and character to inebriate anyone. The blending of American Bourbon with fine European vermouths and Caribbean bitters adds a bit of zeal and hints at our exploratory nature.